Gratitude is a bit of a buzz word these days but long before that happened I’ve known how grateful I am for the opportunity to travel and for all that it has taught me. It turns out I’m far from the only one and many of my guests chat about their gratitude towards many aspects of travel too, and three of them feature in this episode of The Thoughtful Travel Podcast. 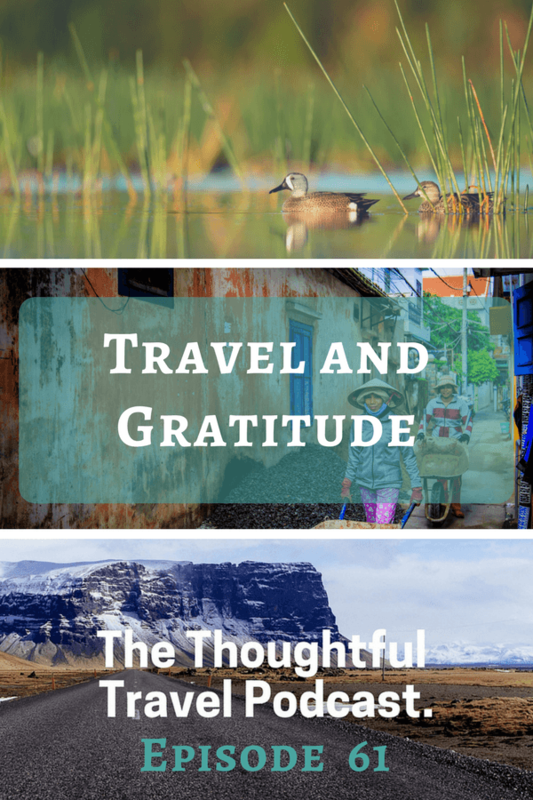 I could give you a page full of reasons I feel a sense of gratitude connected to travelling, but instead I’m going to let my three guests share some of the reason they feel grateful thanks to their travels. First up I speak with Alicia Nelson, who is grateful for an important lesson she learnt about life at home while she was travelling. Then I chat to Cassandra Le; as a child of refugee parents, she has a particularly strong gratitude about her ability to travel. Finally, Abby Lewtas sums it all up nicely by reflecting on what she learnt about gratitude during a homestay in Guatemala and other travels too.